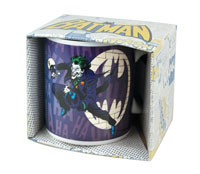 It's hard to truly love The Joker - after all, he is Batman's deadliest enemy, hell-bent on bringing death, destruction and madness to the streets of Gotham City. Still, he does have a certain...charisma that's very admirable, and so we can see why some people like him. 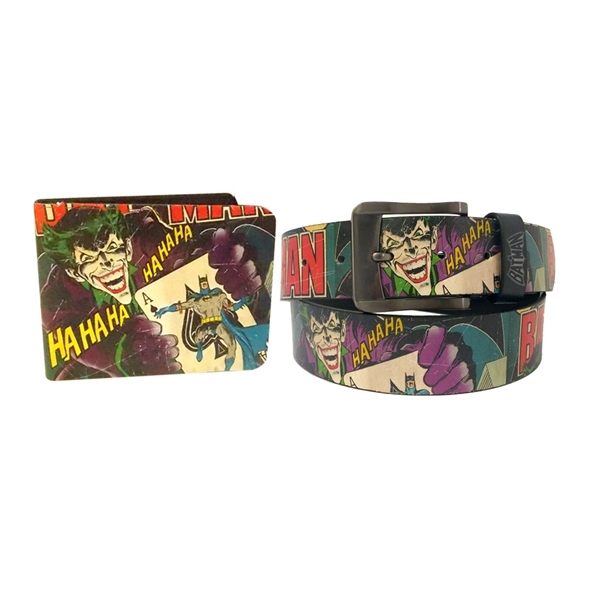 If you're a big fan of Batsy's baddest nemesis, this Joker Belt and Wallet set is sure to appeal to you. This perfect pairing makes an ideal gift for comic book fans! 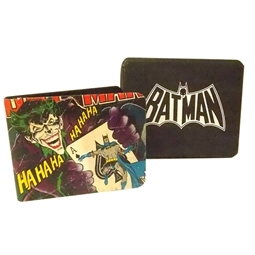 Celebrate The Joker in style with this matching Joker wallet and belt set! The wallet has plenty of room for your coins, cash and cards, while the belt will keep your trousers up in the coolest way imaginable. bargain, well chuffed when it arrived, thanks. I'll defo be using this site again.